“That´s the blessing with these things, they were so well constructed, they never break… while this became a curse for the company at the same time,” says Michael. Type: shoulder length straight brown hair, mirrored sunglasses, washed out blue Levi’s jeans, white T-shirt stained with little drips of oil, and the mechanic I trust. 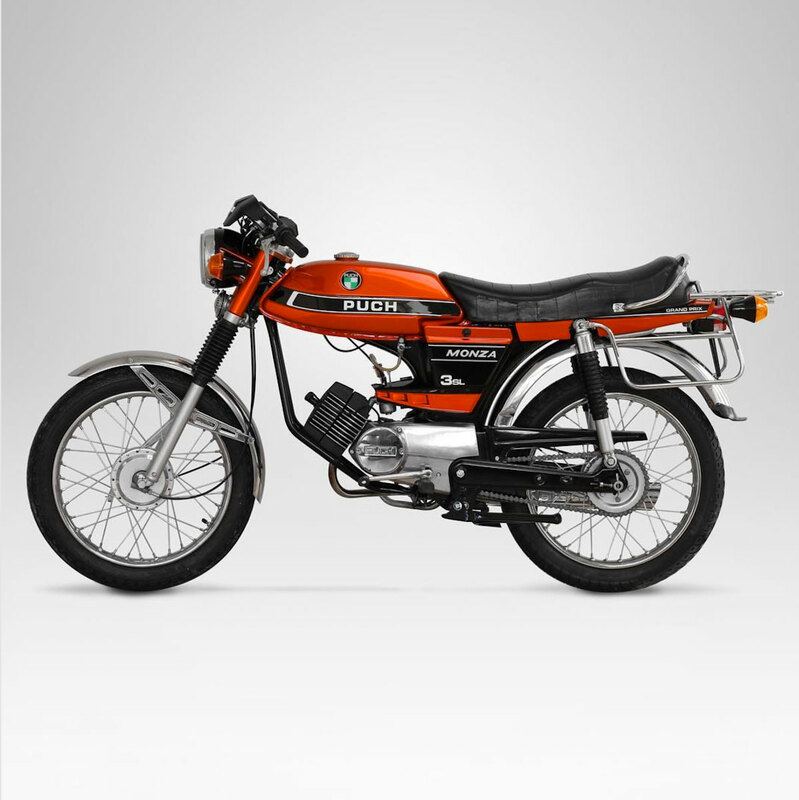 In contrast to him, I know nothing about my Puch DS 50. Even though we share the love for it. 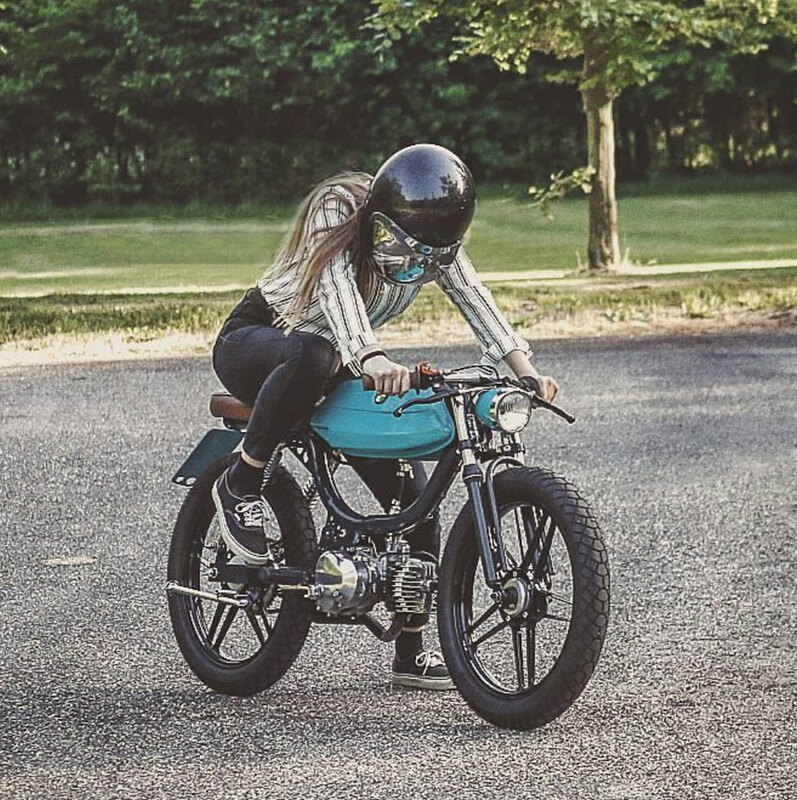 If she would still exist – every moped and motorcycle from the company Puch is a woman, as the cult brand itself –, Puch would turn 118 years old this year. She’d be an old lady telling stories from a past so long ago that the plot would easily fit in some Saturday afternoon film on TV starring Hans Moser and Lotte Tobisch. 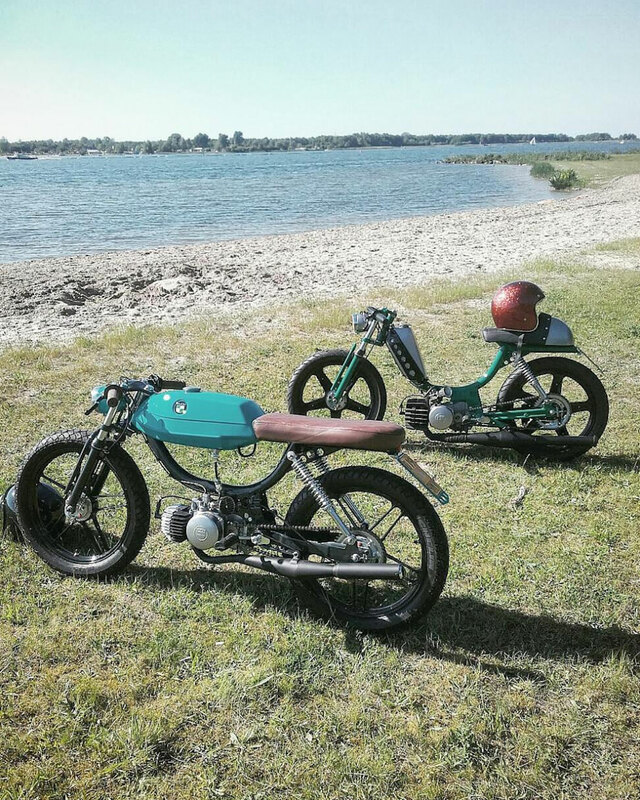 It’s probably because of this that even today, adult men in Austria, together with their greying fathers and their young boys spend Saturdays in the garage, servicing their old Puch moped. There’s a little romantic feeling in it. 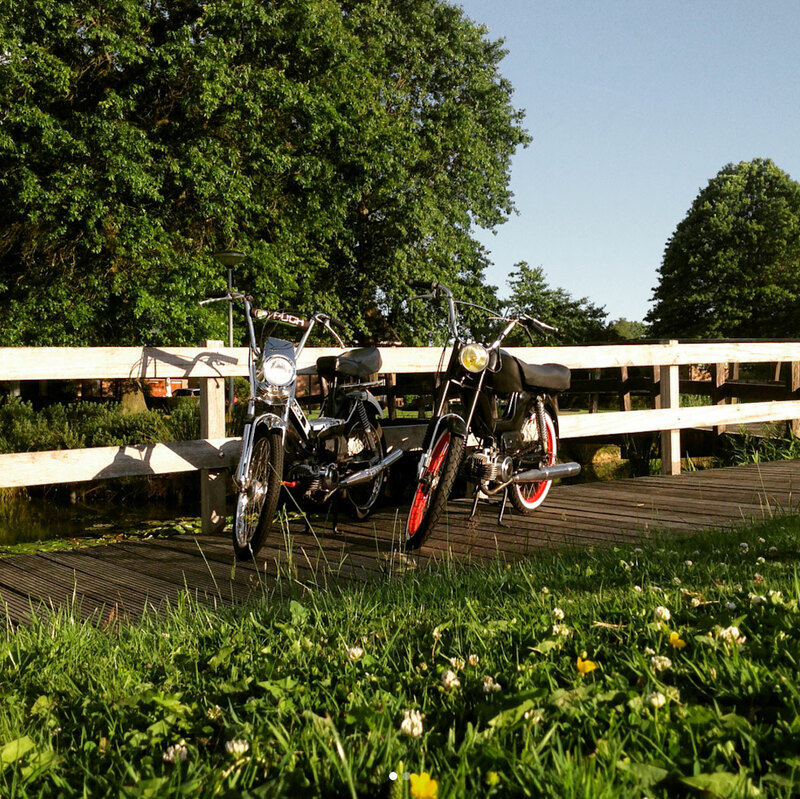 Kneeling on the asphalt, Michael murmurs slightly surreptitious, “I just put in a spring, which, although not intended to be there, lets it run more smoothly.” The Puch mopeds are old, actually very old – mine will be 50 years old next year – but they are tough. “They won’t break, you couldn’t break yours and I swear to you that this cannot be done.” Michael, my man, Puch, our love! I got a spark plug and a 13mm jaw spanner which I know how to use and if it gets more complicated than that, Michl, my James Dean-type mechanic, is there to help. This stuff is not complexly engineered and compared to modern-day vehicles, is all no-frills. 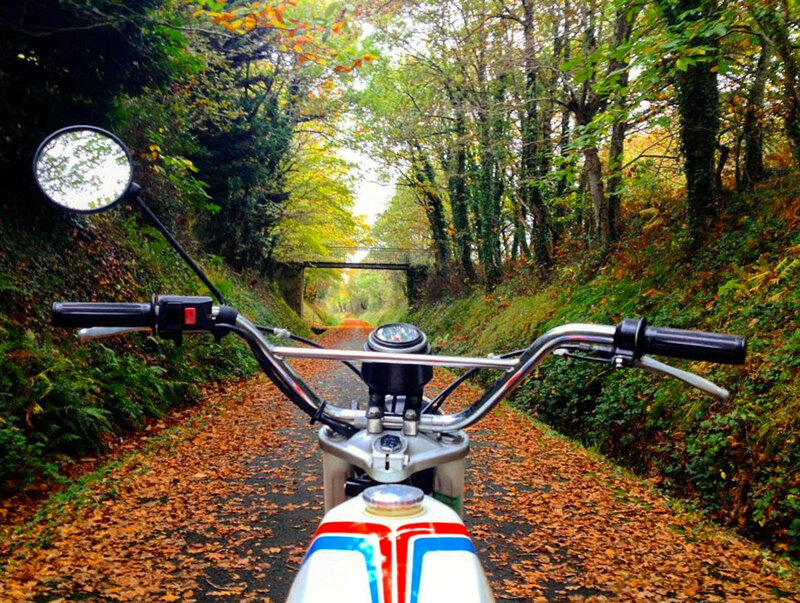 No electronic parts, no bodywork – made for DIY maintenance. 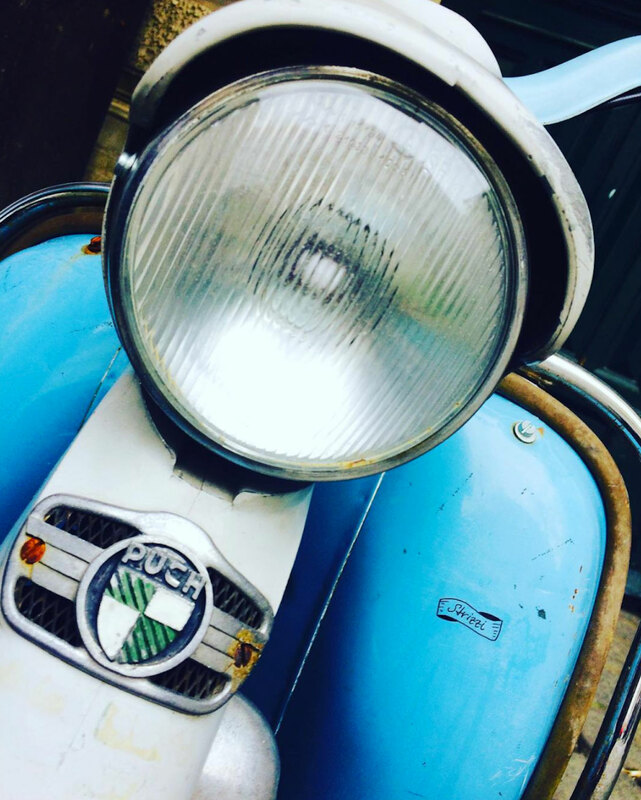 At the present time, where you need a laptop to diagnose a failure in a car’s transmission and where everyone presents his or her beautified Instagram photos – everything’s nice, everything’s clean, everything’s superficial; the Puch mopeds reveal their original magic: their genuineness. While my choice is the DS 50, others are convinced of the Monza. Manufactured from the mid-1970s on, its maximum design speed had to be restricted to 40 km/h (25 mph) in order to meet the legal regulations. Ideal to get the red moped plate in Austria, and then it just needed a few turns with a screwdriver to get rid of the speed limiter. Instead of 2.6 hp one could get 6.25 hp, not to mention the loud engine sound. The design of the Monza was inspired by the Formula One cars of Lotus at that time. Not as round and softly shaped as the DS, but angular and sharp-edged, the Monza is a rougher bike. 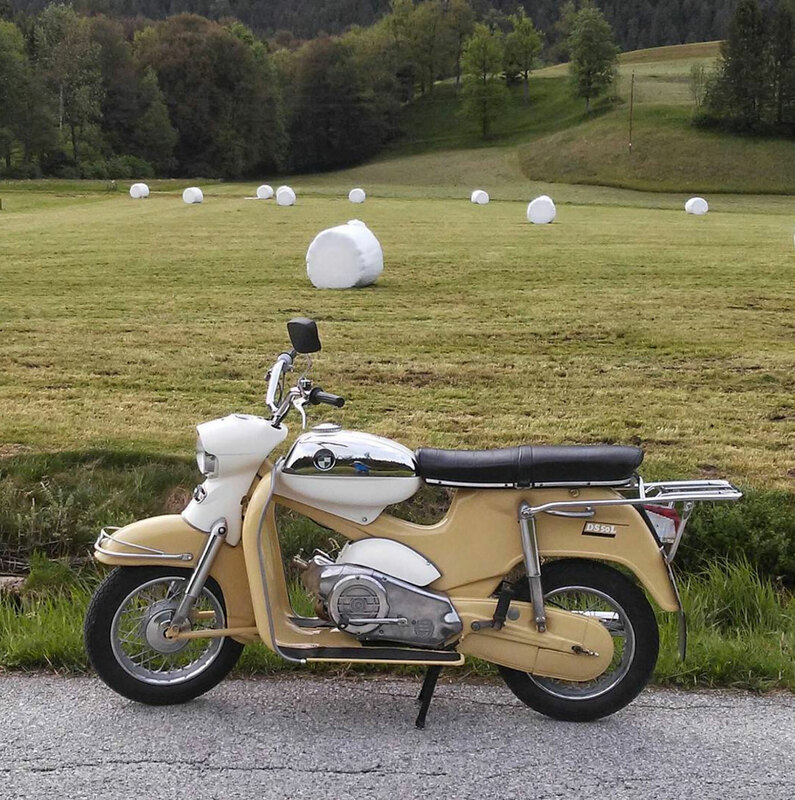 Nevermind, if it’s the Monza, the DS or perhaps the best known moped of the Puch company, the Maxi; these old ladies are wonderful companions and if you have the chance, you should spend as much time with them as you can.